Whether you are a weekender or a full-time upstate resident, there are always more nooks and crannies of the Hudson Valley to explore. 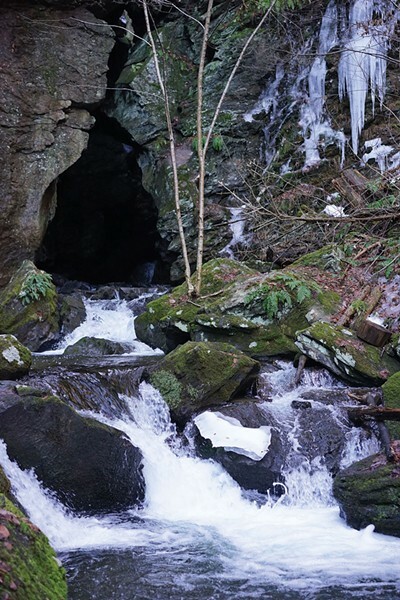 This month we are exploring three towns in southeast New York with ample activities: Patterson, Pawling, and Dover Plains. As you explore the swath of beauty along Route 22, take a moment to recall that in Colonial times, this was some fraught turf: an international border between Dutch and British interests, both sides wanting control over the Oblong. During the Revolution, Washington strategized here, Tory lands were seized, and a 16-year-old girl from Patterson took a midnight ride over twice as long as Paul Revere's. This southeastern corner of New York State has evolved into a peaceful, passionate playground of pleasures to explore, and it could hardly be easier to reach: Patterson, the southernmost town, is just off I-84 at exit 18; if you'd rather not be burdened by a car, there are five Harlem Line train stations between Patterson and Wingdale, one dedicated to the Appalachian Trail, and bus and cab service from there. From the Pawling stop, it's a 10-minute walk to the Pawling House Bed and Breakfast. From end to end, you'll find glorious swaths of protected wildlands. Patterson is the home of Wonder Lake State Park, with over eight miles of hiking trails, formerly bridle paths around the summer estate of Elizabeth Montgomery and still bewitching. There are old carriage roads to wander at Cranberry Mountain Wildlife Management Area, over 1,000 acres that have been managed for habitat for 50 years by the DEC. In Pawling, where the Nature Conservancy maintains the Pawling Nature Preserve, climb 1,053-foot Hammersly Ridge to stunning views of the Great Swamp and the Harlem Valley. In Dover, you can explore the Roger Perry Wildlife Preserve, a land of striking white sands and rocky ridges; visit the Stone Church, a natural cavern that according to legend sheltered the Pequots from the English in the 1600s; and explore Nellie Hill, featuring a rocky summit with a vista of grasslands and savannah, the first parcel in a planned six-state Great Thistle National Wildlife Refuge. And running through it all is the Great Swamp, about 97 square miles of glorious watershed where you can wander on foot or paddle to your heart's content. Looking for a little more action? Patterson's home to Liberty Paintball, 17 distinct playing fields for all skill levels and tastes with spaceships, tanks, towers, and indoor facilities. 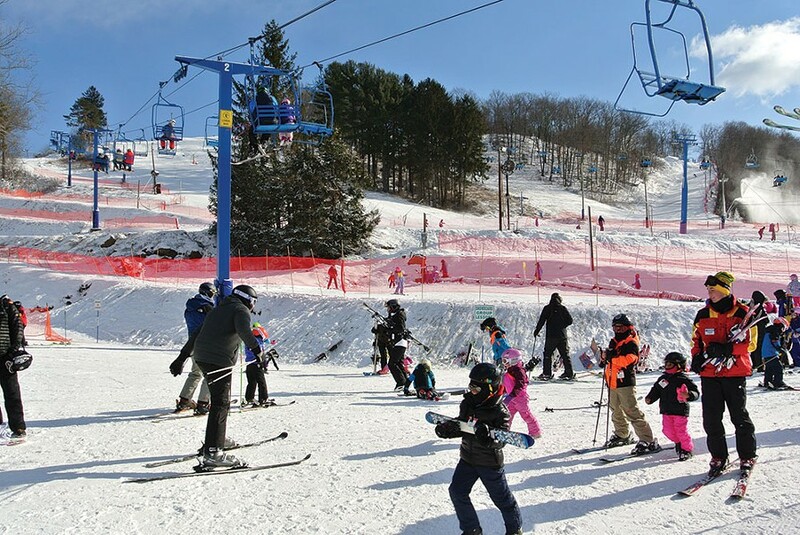 Patterson's also got Thunder Ridge Ski Area, with 22 trails and a snowsports school for all ages and skill levels. You're in the heart of year-round, best-in-class horse country. Patterson is where the NYC Polo Club makes its home at Haviland Hollow Farm, and you're invited to come and watch or learn. Laura Parker teaches the "holistic approach to classical dressage," which she has been refining for 40 years at Inner Circle. 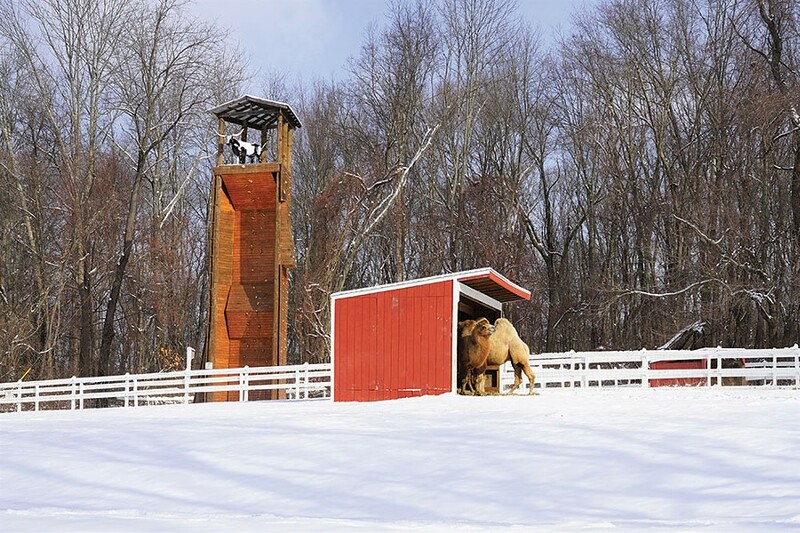 Riders rave about the lesson programs at Stage Barn and Windy Acres in Pawling, and at Kirby Hill you can book an elegant equestrian wedding weekend. Early spring is syrup-boiling time in the Dover Plains sugarbush, where you'll find exquisite maple syrup being crafted at the Crown Maple Estate at Madava Farms, where the cafe's open every weekend, and at Soukup Farms, where what started as a hobby three generations back has grown to over 2,000 taps and a wildly creative range of specialties (maple hot sauce, anyone?). And while you're in Dover Plains, stop at the Brookby Farm Store for farm-fresh raw milk, free-range eggs, grass-fed beef, milk-fed pork, and assorted goodies from other local farms. Speaking of rare flavor, restaurants are wildly creative and diverse. Want a unique picnic to take on your outdoor voyage of discovery? Patterson's Iron and Wine has gastropub fare you can order online and pick up, and should you fancy crispy duck or salmon mango, Thai Elephant 2 offers the same convenience. 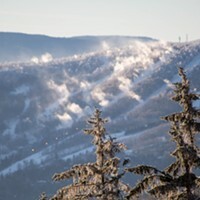 Dover offers Big W's, exceptional dry-rubbed and slow-smoked barbecue, Pawling's offerings include McKinney & Doyle, "serious American cuisine in a not so serious atmosphere" with scratch bakery and cutting-edge cocktails. Throughout the Oblong, the essentials—fresh coffee, craft brews, mouth-watering pizza, pub grub, and diner fare—are prepared with expertise and enthusiasm. In planning your trip up the Oblong, you'll want to check the bill of entertainment fare at Daryl's House, where Rock and Roll Hall of Fame inductee Daryl Hall has remodeled the venerable Towne Crier venue into a gushing wellspring of live performance: rock, jazz, bluegrass, and blues shake the rafters five nights a week, with no-cover weekend brunch sessions. 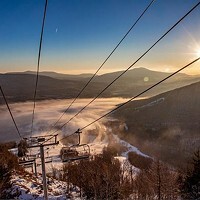 Then there's the 44-year-old Pawling Concert Series, which kicks off its season this April with chamber musicians from Lincoln Center playing Dvorak and Brahms and Cajun heat from Beausoleil avec Michael Doucet. 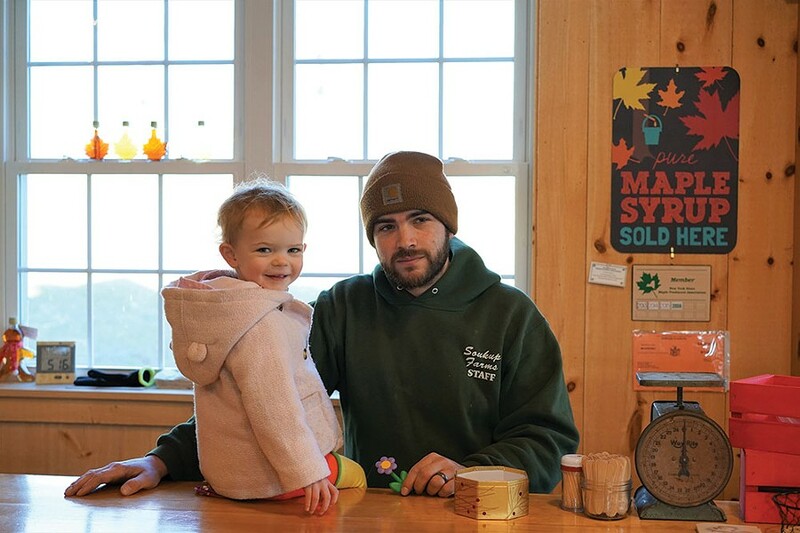 Mark Soukup with daughter Molly at Soukup Farms in Dover Plains. People out this way don't just appreciate culture, they practice it like a martial art form; there is a lively Pawling Shakespeare Club celebrating its 120th birthday this year, reading the Bard and giving scholarships to kids. James Earl Jones, a Pawling guy and an honorary club member, celebrated the 400th anniversary of Shakespeare's death with them in 2016 by recording an intro to "The Wit, Wisdom, Wickedness and Woe of Shakespeare's Women," now archived at Pawling Public Radio. 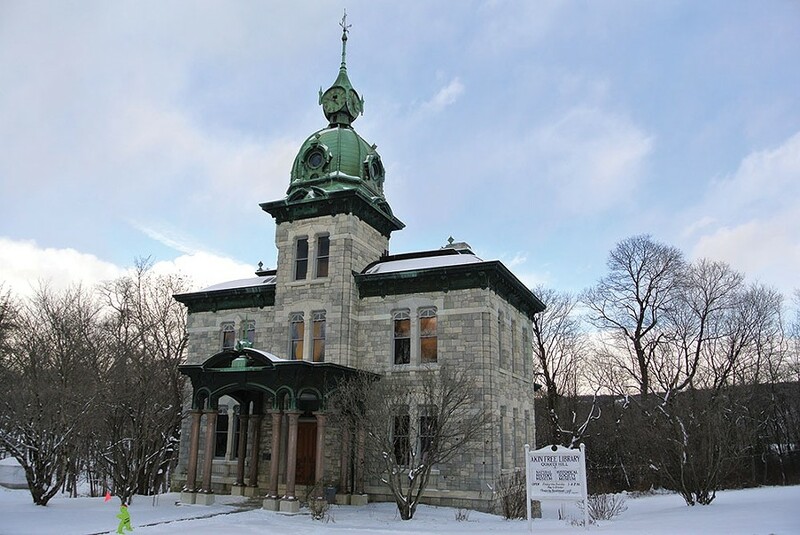 Pawling's Akin Free Library, a magnificent stone Victorian atop Quaker Hill, features books on the first floor with a historical museum above and a natural history museum downstairs. Down next to Patterson, in neighboring Brewster, Green Chimneys operates a spectrum of nature-based educational programming serving everyone from kids who need in-patient therapeutic activities to summer campers to future therapists and anyone else who would like to explore the human/animal/environmental connection. The public is very much invited to come over for a free weekend tour. This is just a sampler. Go see the enchanted place where New England and New Netherlands met and ultimately embraced; it won't be your last journey into the Oblong. Read more about Dutchess County towns.